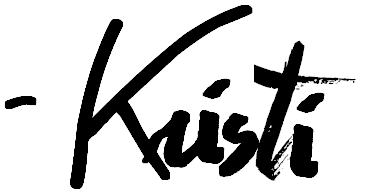 Pre-S: This post includes an exciting announcement! Don't miss the big news! 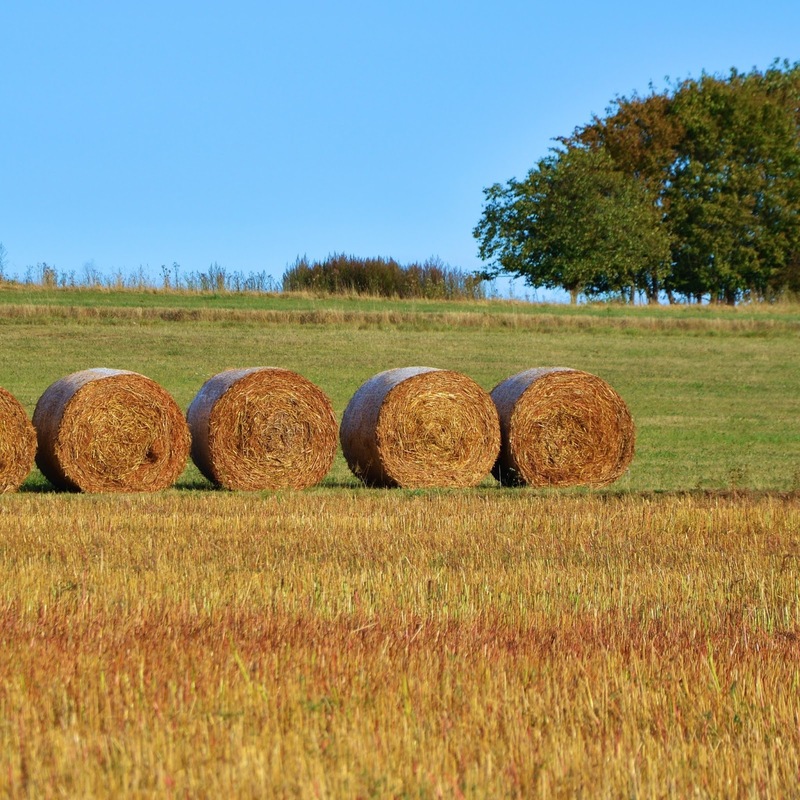 As I was driving home the other day, I watched the farmers bailing hay in the hot summer sun and started to feel that familiar sense of small town pride bubbling up in my heart. I love our small, quiet community. I'm grateful for friendly neighbors that wave when they see you drive by. I have always found so much joy in the ordinariness and simplicity of rural life. And so, I thought it was about time to give you all an introduction to the place we call home. 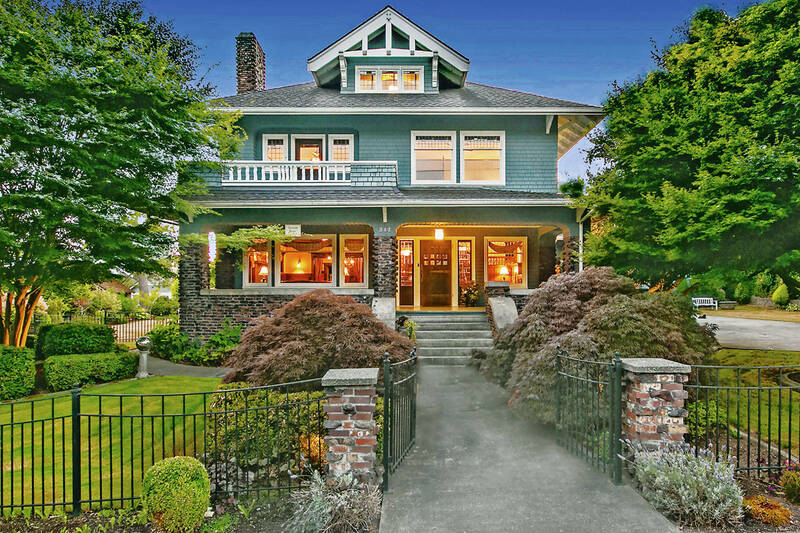 In 2011, we traded in the bustling and crowded suburbs for a couple of acres and a farmhouse with a huge front porch in Snohomish, Washington. (You can read the full story in this post from earlier this year.) 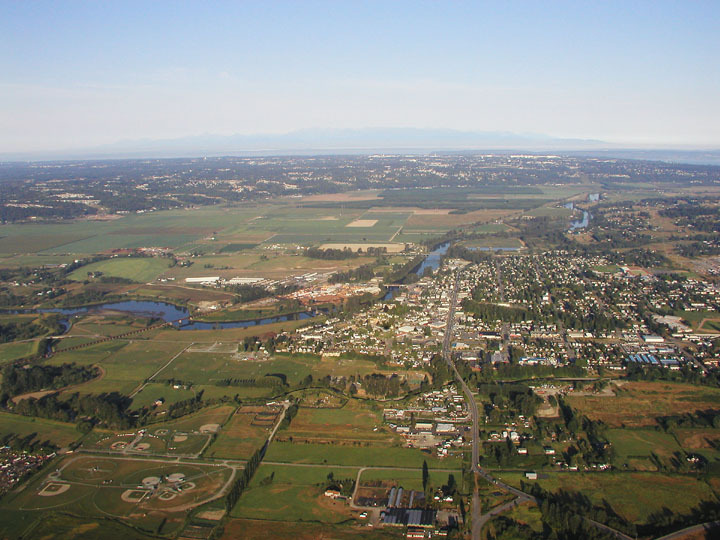 Because we're in a rural area, our home is technically located in "unincorporated Snohomish County"--just shy of 15 minutes outside of downtown Snohomish, and 10 minutes outside of Monroe. We split our time fairly evenly between both communities, but Snohomish is written on our mailbox, as well as our hearts. 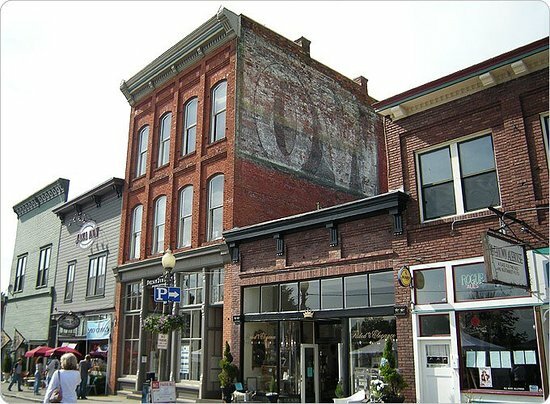 About 40 minutes north of Seattle, Snohomish (population 9,900) is a truly charming town that's known as the "antiques capital of the Northwest". 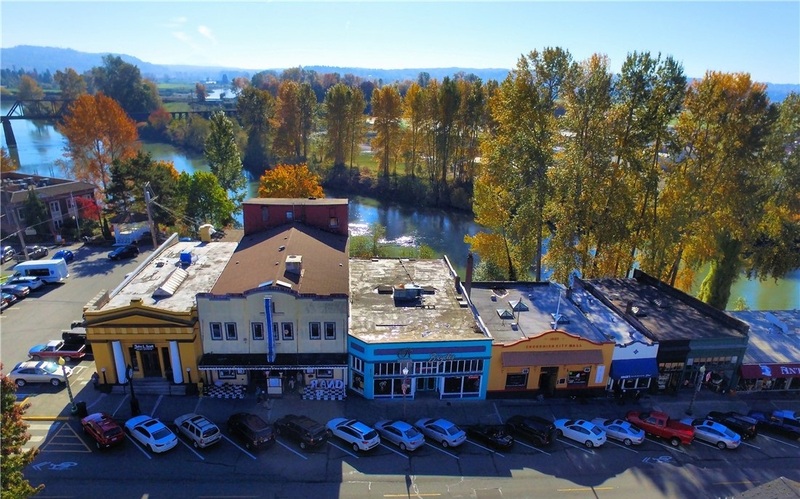 The historic downtown shopping district follows the curve of the Snohomish River and is filled with an abundance of vintage shops and boutiques, antique refinishers, and a handful of delicious eateries. We even have an old saloon that is rumored to be haunted. 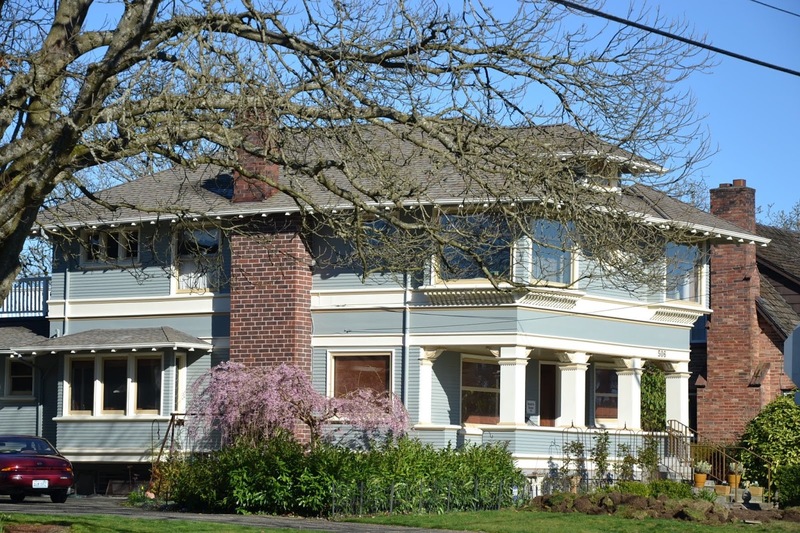 The community has done an incredible job of preserving a large number of historic homes within walking distance of the shopping area, and there's the annual Historic Homes Tour that should not be missed if you happen to be in the area! 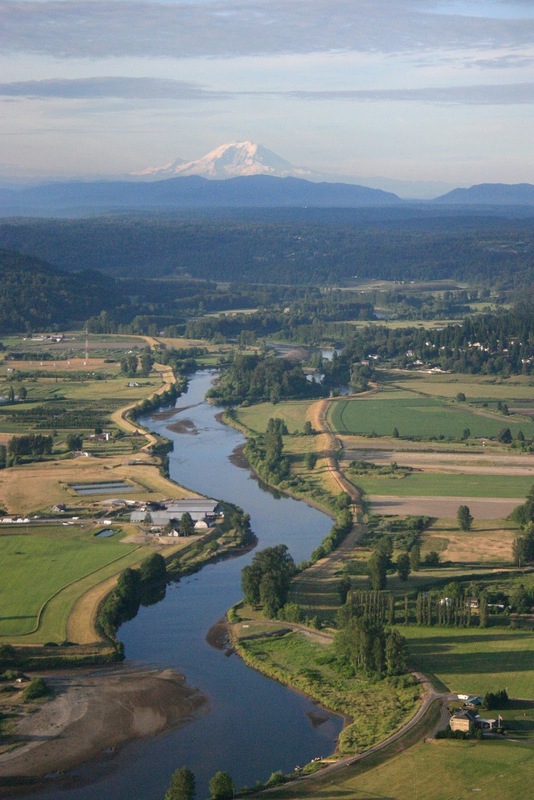 The Snohomish River Valley, with a wide open view to Mount Rainier, provides rich and fertile soil for a variety of crops, but the two most prolific farms in our community are definitely corn and cattle. Equestrian properties are also plentiful, but sadly, many farms are being gobbled up by the growing number of sub-divisions that are popping up like weeds. Two large farms with several acres of horse pastures just recently sold a couple of miles down the road from us, and it's disheartening to know that this means those grassy fields and old growth trees will be replaced with ticky tacky little boxes very soon. Living in a small town is important to me, and I really can't imagine ever wanting to go back to the city life. There is just such a deep sense of community in rural towns. Both of our families moved quite a lot while my husband and I were growing up, and we've both lived in big cities as well as small towns. But I can say, without any hesitation, that rural communities have always had a hold on me. Even though we moved often when I was a kid, the tiny rural community in Eastern Washington that my family originally came from always felt like "home". We frequently took trips there to visit relatives, and when my great uncle passed away while I was in middle school, my parents finally made the decision to opt for the country life. That spring, my family moved for the last time, and a few years later, I ended up graduating from the same high school that my grandmother had graduated from decades before. There were just 29 students in my graduating class--this was a town where you literally knew everyone. Surrounded by miles upon miles of wheat fields in every direction, we lived in a tiny 2-bedroom farmhouse that was built by and had been in my family for several generations. We were, in fact, so rural that we didn't even have an address until the mid-90s. Mail wasn't delivered out there anyway, so you really didn't need one. You just picked up your mail at the post office whenever you went into town. My parents owned and operated a bakery and deli lunch counter in town, and my dad worked harvest with my uncle every summer. 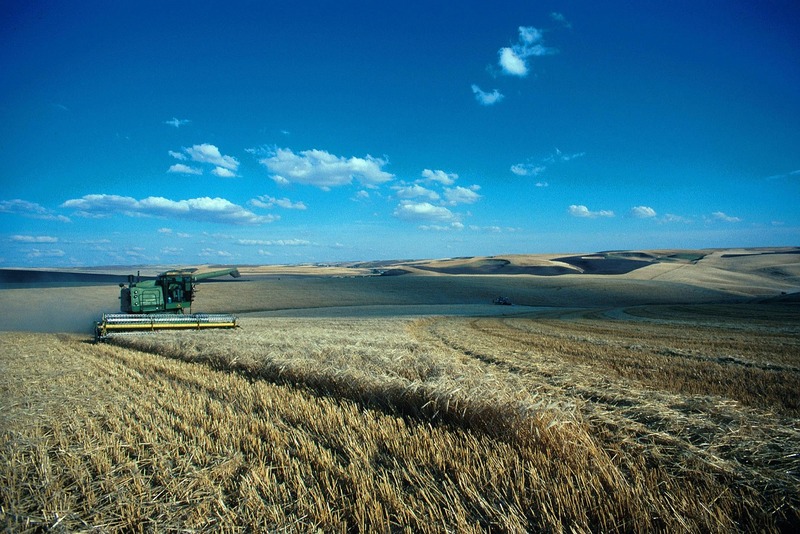 Some of my fondest memories are of spending long, hot, dust-covered days with my cousins in a wheat truck, playing cards and listening to cassettes on a little battery-powered tape player we balanced on the dash while we waited for the combines to fill us up. Then, making the drive into the grain elevator to unload while we enjoyed the temporary cool breeze through the open truck windows that brought us a bit of relief from the scorching heat. Over and over, day after day, year after year...I had the time of my life. As an adult, it's no wonder that I feel most comfortable in small towns where life moves a little more slowly, and there's a greater focus on the things that really matter. 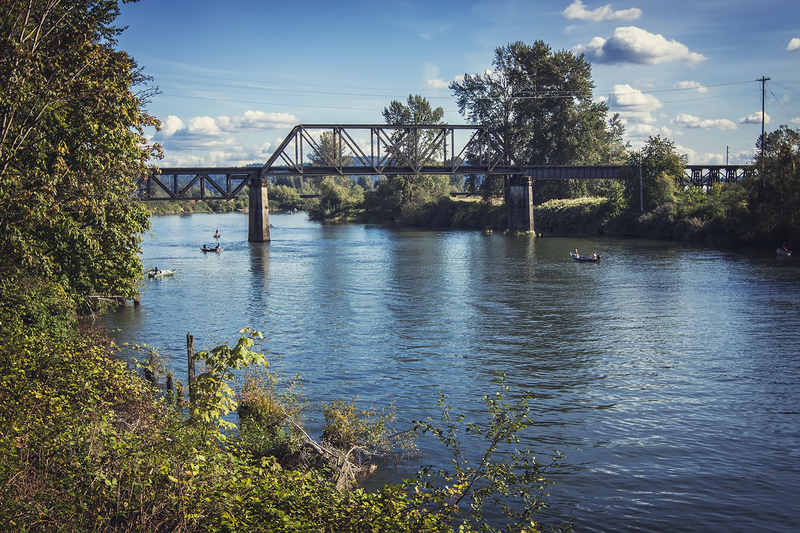 And, strangely enough, because we both moved so often during our childhoods, the home my husband and I share in Snohomish is where we've each lived for the most consecutive years of our entire lives. Today, this truly is our hometown! 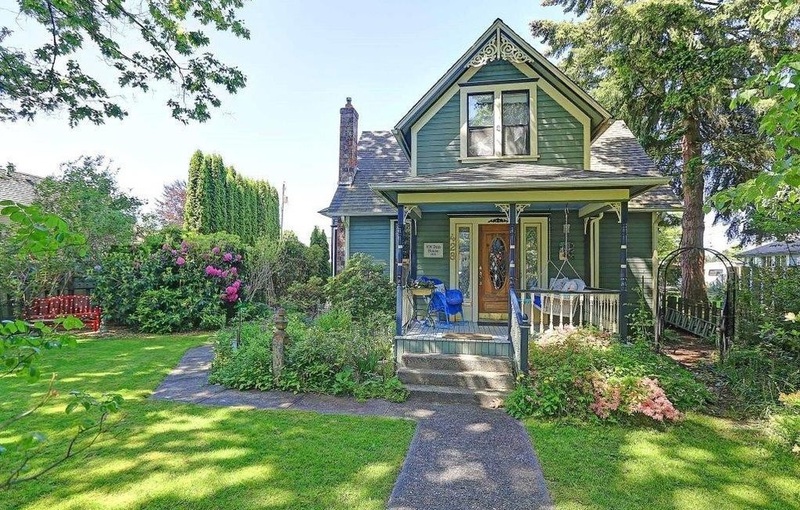 For that reason, I am especially delighted to announce that we have opened a second location for French Creek Farmhouse right in the historic shopping district of Snohomish! It is such a joy to be able to contribute to our community by sharing my refinished furniture and vintage finds in another fantastic boutique. 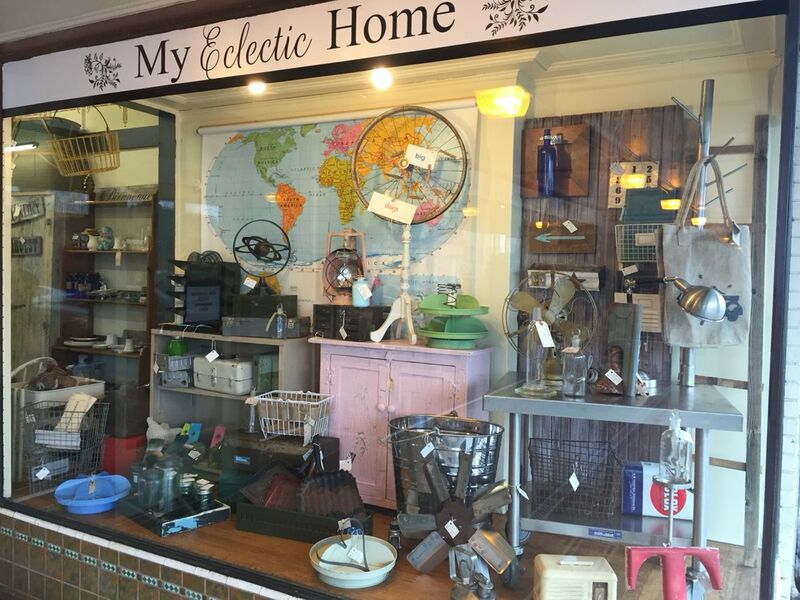 My Eclectic Home is a collective of talented designers that specialize in antiques and vintage treasures. It was a true honor to be invited to join this wonderful shop by owner, Geneva Sipes. In fact, Geneva didn't even have space for an additional designer, but she went to work to rearrange and make room for us because she believed so much in my work. My heart overflows! 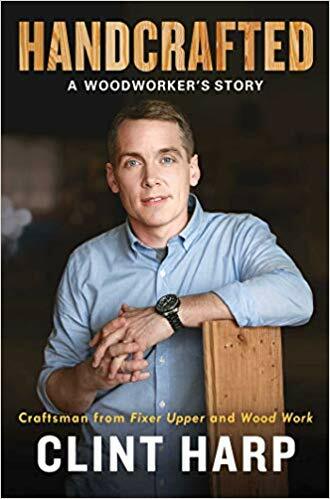 I will be on hand for 1-2 meet & greets in the shop each month, so stop by and say hello. Plan to spend the day shopping, strolling along the river, and picking out local produce at the farmers market this summer, and I hope to see you there! 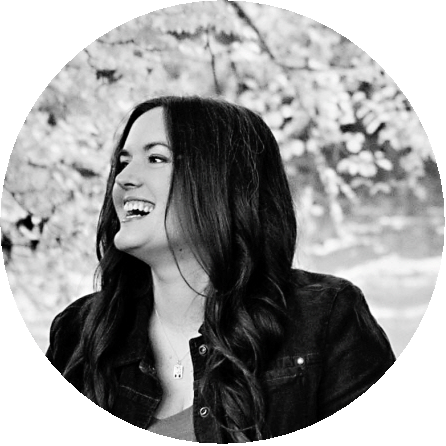 Be sure to follow me on Facebook to stay updated on the latest events, and head over to connect with My Eclectic Home as well!